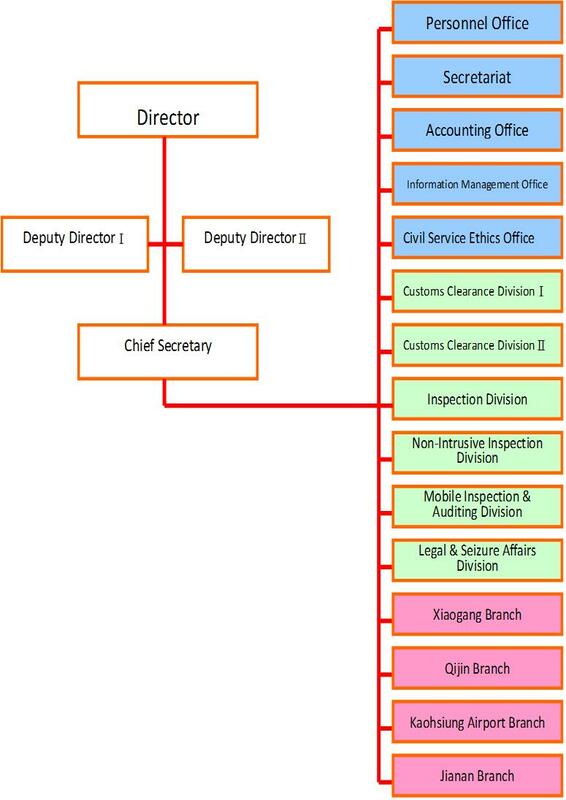 The head of Kaohsiung Customs is the Director, who manages overall Customs operations with the assistance of two Deputy Directors. Deputy Director I is the Director's statutory deputy, while Deputy Director II is responsible for supervision and evaluation. Kaohsiung Customs is composed of 15 primary units, including 5 administrative units and 10 operational ones. The latter ones take charge of clearances of inbound and outbound passengers, postal parcels, imported and exported goods, as well as anti-smuggling operations, etc. Kaohsiung Customs was restructured on January 1, 2013.